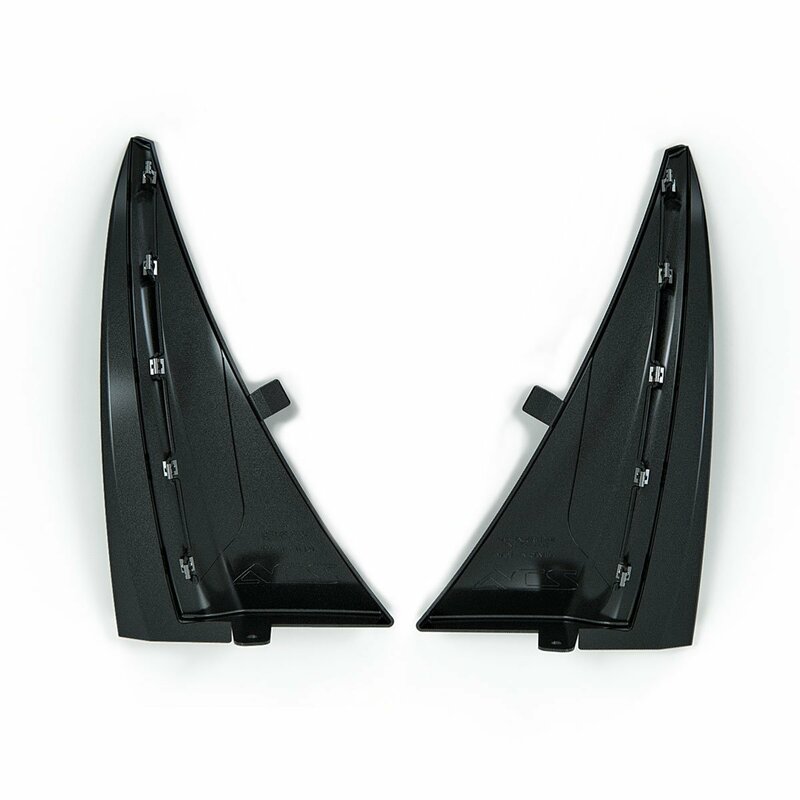 They say bigger is better, and that is definitely the case with our XL mud flaps. 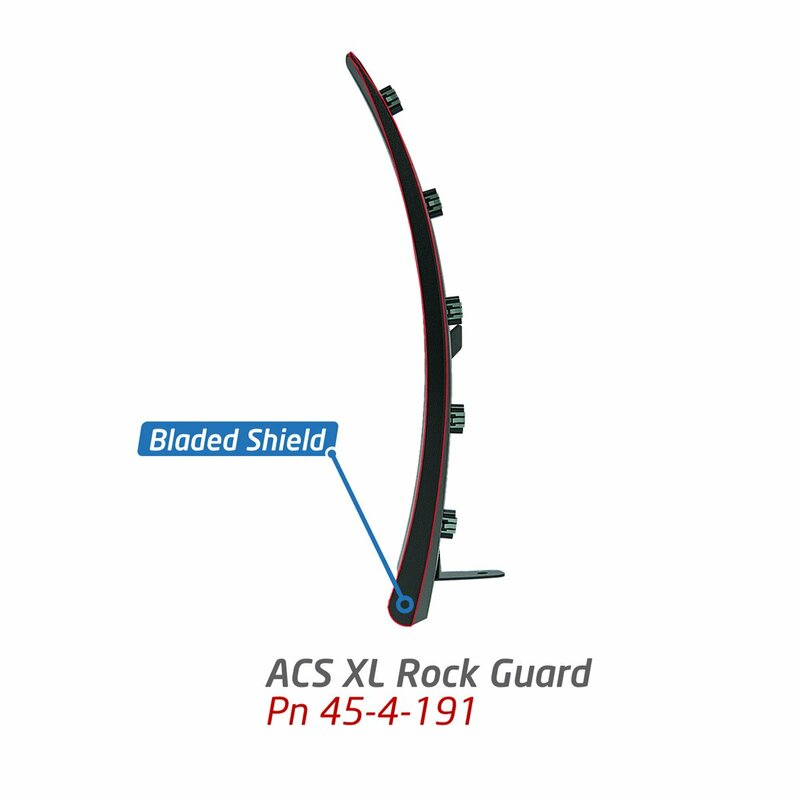 The XL rock guards are nearly double the protection of the GM mudguards and the ACS Composite Enhanced Front Splash Guards. Have you heard the noise of rocks and road surface debris chipping away at your paint? You can thank those large sticky performance tires for that. Reduce the rocks thrown up towards the car, and save on time and money on paint chip repairs. 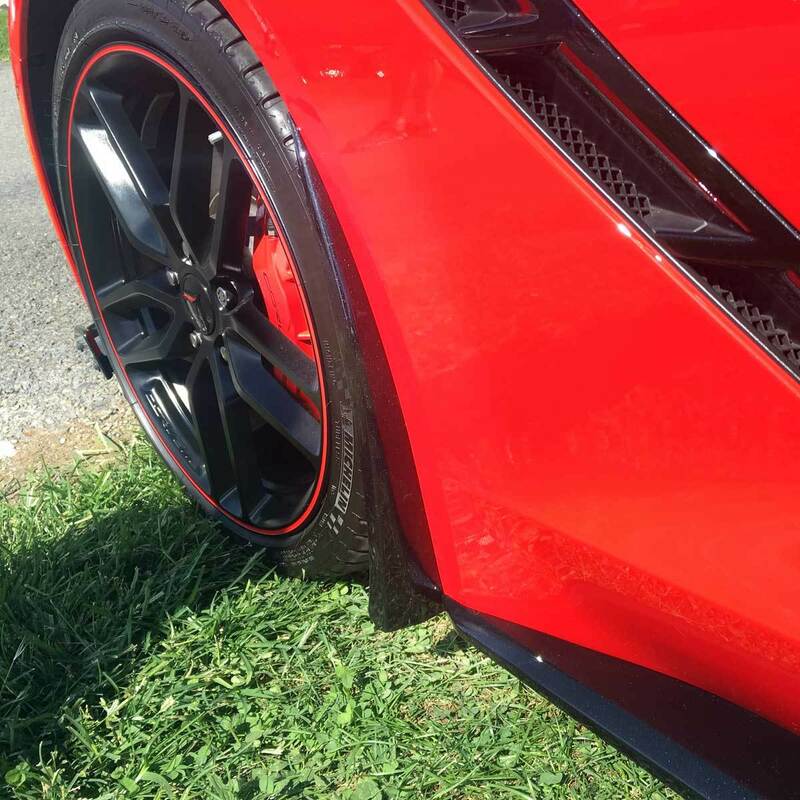 The XL rock guards will prevent rocks from getting to those precious areas of your C7 Corvette. 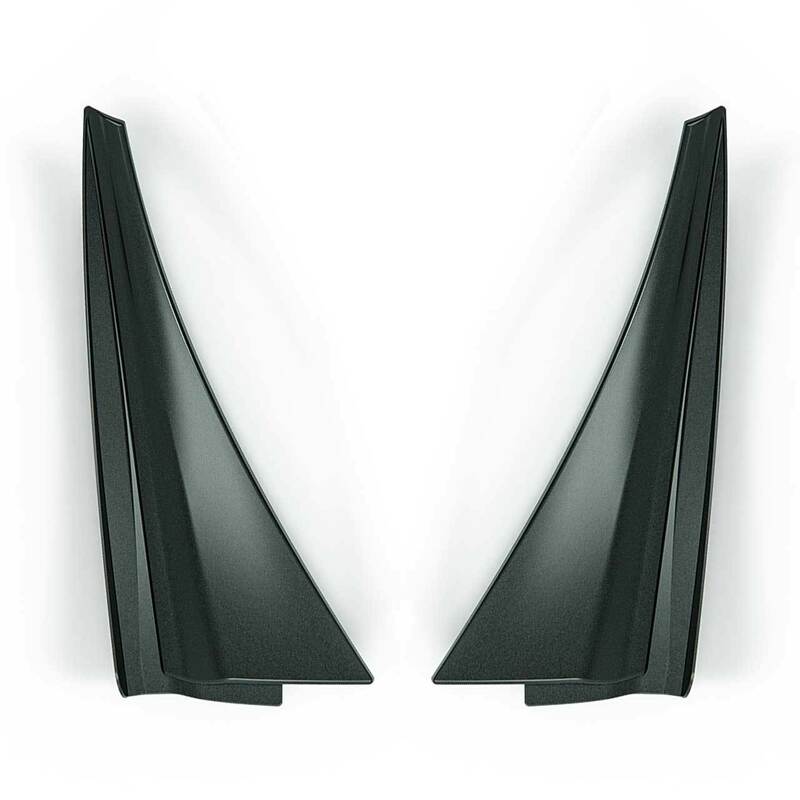 Manufactured in a black ABS-PC plastic, the rock guards will withstand the impact of rocks and other road debris while protecting your Corvette. Sold as a set; Each set contains a passenger and driver side. A newly developed unique bladed shield on the edge of the rock guard stops any debris from directly entering the wheel well. A small detail that could save a big headache. The XL guards come press clips that snap into place. No extra drilling, cutting, or other modifications necessary. 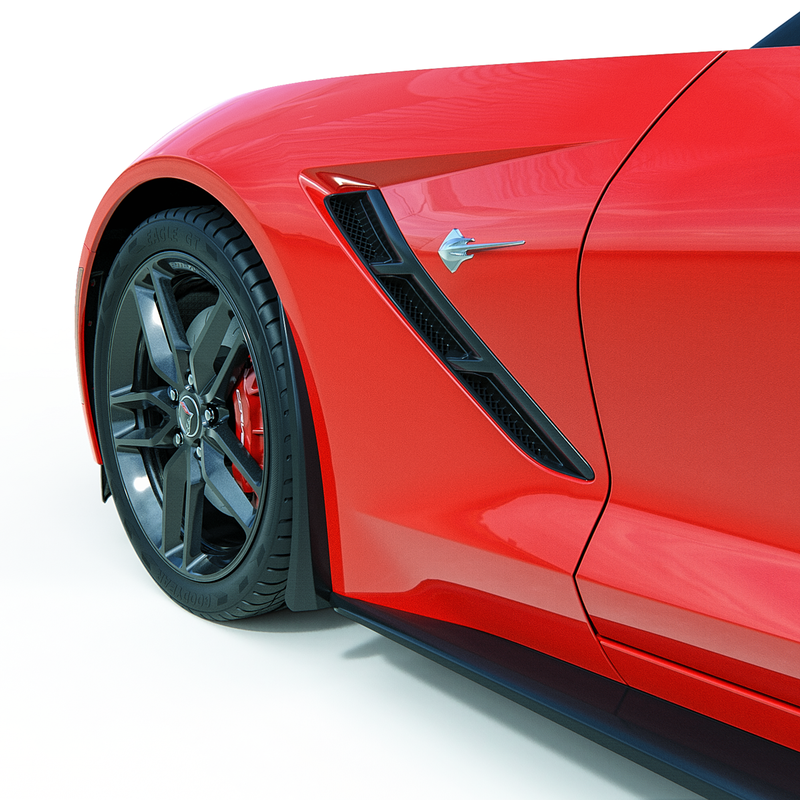 Simply snap in, and drive comfortably knowing that your Stingray, Grand Sport, Z06, or ZR1 is protected. 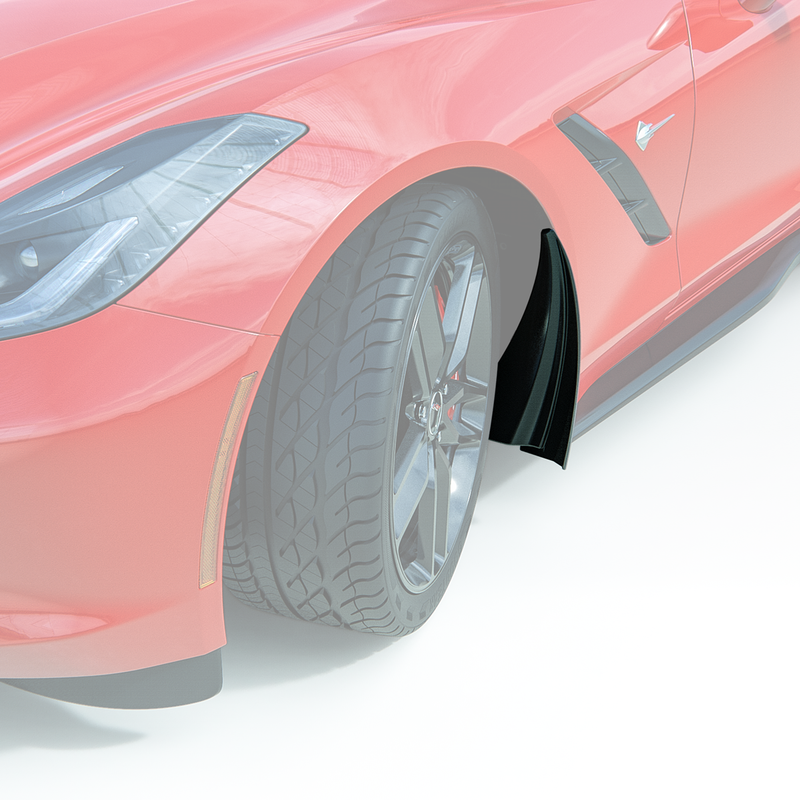 Further protect your C7 Corvette Grand Sport, Z06, or ZR1 around your rear brake scoop with the ACS Composite Brake Scoop Cover. The protective covers work the same way as your phone case does. A slip-on cover that protects the paint on the original bezel.